Those humans who live in the northern parts of the US call themselves “snow birds”, when they flee to the dry hot south. Then there are those who know the true meaning. Summer comes in the south, its time to fly north. Above the arctic circle the aviary populations flock to the breeding grounds. Life in the north is full in the summer the influx of animals bringing abundant food sources to the hardiest of the carnivore, the polar bear and arctic fox. Yet for the most part, the snipe, arctic goose, king eider, redpoll, common murre and even snow bunting, find refuge to raise their fledglings. 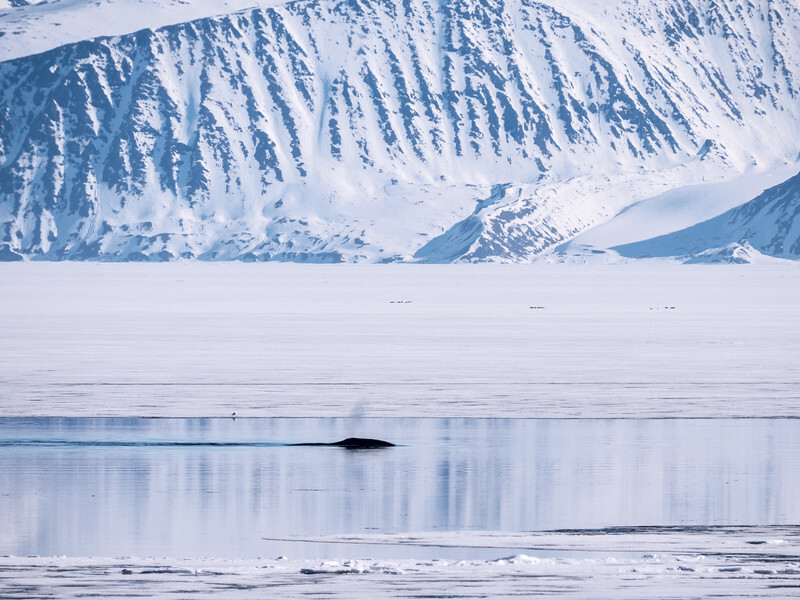 And on the edge – the seals, narwhal, bowhead whale plies the rich krill and fish filled waters.